Earlier: As reality settled in, the crowd at Colbert's live taping became increasingly somber, with at least one audience member crying. Colbert himself became serious as he spoke, opting for strong words for America over lighthearted jokes. As Colbert delivered more and more bad news to his audience, it was clear the special had no choice but to turn into a rallying cry for solidarity in the coming days. "Let's agree we never have another election like the one we just had," Colbert said in closing. "The election is over, you survived. Goodnight and may god bless America." 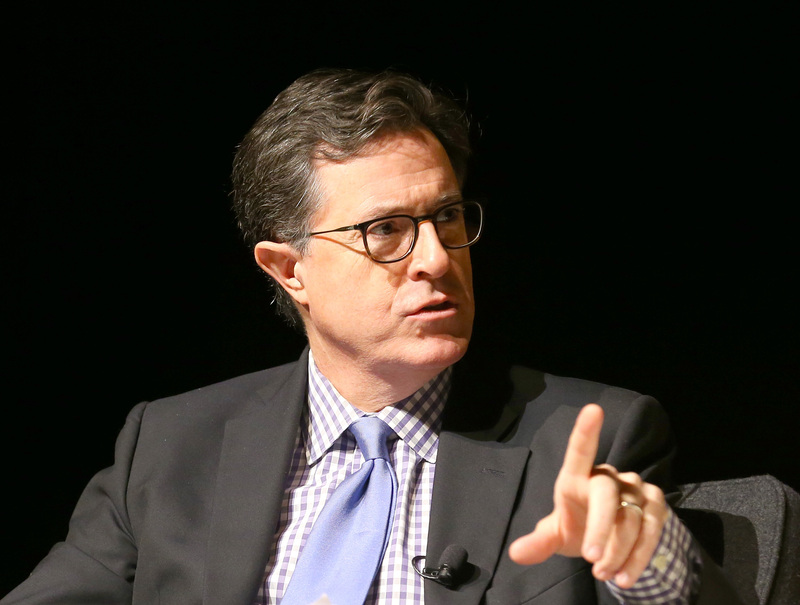 The Hollywood Reporter reported that Colbert had three different versions of the show ready to go depending on the outcome of the results and their availability. It appears he chose to cut many of the guest segments in favor of speaking more candidly with his audience. Jeff Goldblum was on hand as promised, though, and, as always, Goldblum made things ever so slightly better. That is his gift. Guests or no guests, Colbert offered exactly what his viewers needed: Strong words and comfort from a familiar face. Things may look terrible right now, but Colbert believes this could be a turning point for America in a positive way. Colbert said everything he needed to say to America tonight, and hopefully everyone was listening.